"Contract risks to watch out for-Pain points"
Contract management is an integral component of the firm’s strategy and business operations. A lack of control around the contractual relationships creates risks, and can lead to brand or reputation damage and the loss of significant revenue. 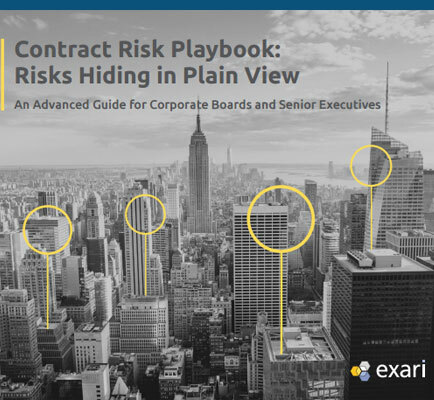 Contract risk management enables senior executives and boards to improve operational excellence while reducing risks. This whitepaper helps to examine how contractual agreements, a vital and often overlooked corner of operations, can provide management with the business intelligence to help reduce risks, uncover waste, and improve performance. How well do you know your contractual risk?